Shopping for Nightmare Before Christmas Statues? She's no nightmare! 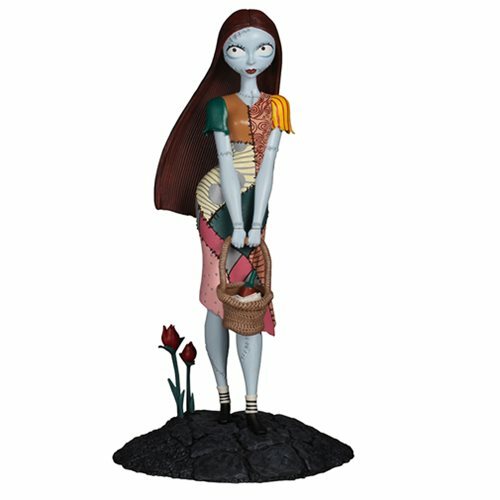 This The Nightmare Before Christmas Femme Fatales Sally Statue from Tim Burton's The Nightmare Before Christmas depicts the shy, stitched-together girl holding her basket of food on a stony path in Halloween Town. With a detailed sculpt and exacting paint applications, this statue stands slightly over 6 1/2-inches tall and is the perfect addition to other Femme Fatales statues. Sally comes packaged in a full-color window box. Ages 14 and up.